I don’t see all that many movies, so naming my favorite moviemaker is akin to naming my favorite West Indian cricketer. Nonetheless, if pressed to do so, I would say Wes Anderson. Rushmore. The Royal Tenenbaums. The Life Aquatic with Steve Zissou. Genius. And last year’s Moonrise Kingdom. 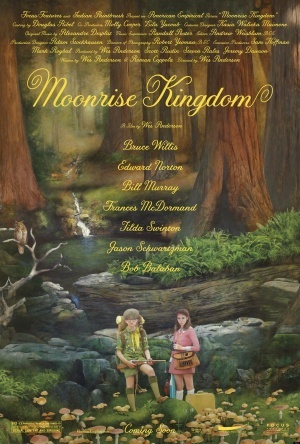 Gail and I watched Moonrise Kingdom at home on Thanksgiving Eve, courtesy of iTunes and live streaming. Not ideal, I should add. There was a problem with the stream, leading to a series of two-to-three minute interruptions while we waited for the buffer to refill. Even so, the film’s brilliance shone through. My favorite novelist? Well, that’s silly. How does one even compare, say, Lee Child and Michael Chabon, both of whose books I love? I suppose one could observe that the day a Lee Child book appears, I begin reading it. The day a Michael Chabon book appears, I do nothing. That might have significance. But it’s misleading. The Amazing Adventures of Kavalier and Clay is among my favorite novels ever. No Child book is on the list. And I’m going to get to Telegraph Avenue soon. Really. Let’s just go out on a limb here and call Chabon my favorite novelist. Imagine, then, how cool it is to see that Chabon has a blog post at the New York Review of Books on Wes Anderson!